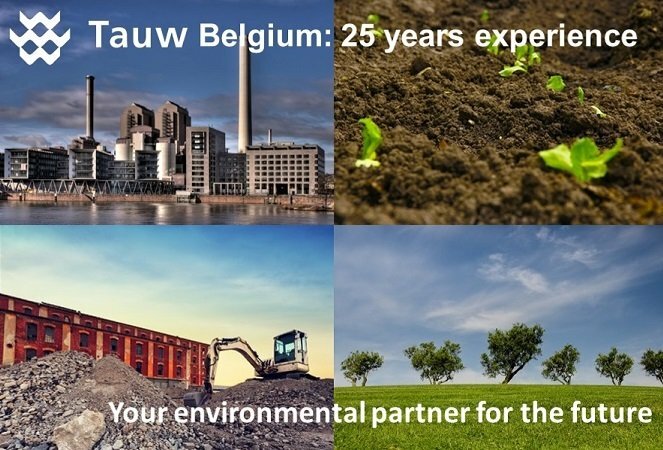 This April 1st, 25 years ago, Tauw Belgium started its activities as environmental consultant in the country’s 3 regions. • Environmental management, bringing support throughout every step of the life cycle of industrial sites and activities. Preforming environmental impact assessments before the start of the project to ensure the relevant abatement techniques and technologies are used for a sustainable activity. Tauw is your partner in ensuring transitions like the setting up of environmental management systems or adapting to new regulation, such as the Industrial Emission Directive. • Asbestos and Demolition inventories and project management. Our teams are active in this field since 1995 and have work on several very large projects requiring the right expertise and rigorous planning and priority management. Tauw also proposes to its clients a risk-based approach for efficient asset management. These last 10 years, Tauw Belgium has also focused, successfully, on becoming a mature, organizationally and financially healthy company. Tauw Belgium is well on track to meet its Strategic Objectives for 2020, ensuring a sustainable growth of our activities and a strengthening of position in providing environmental consultancy to the industrial and real estate sectors. We will be celebrating our 25 years over the next 12 months and we will therefore have several occasions to meet and celebrate with you. We are looking forward to our future collaborations and opportunities to bring value to your business and activity.